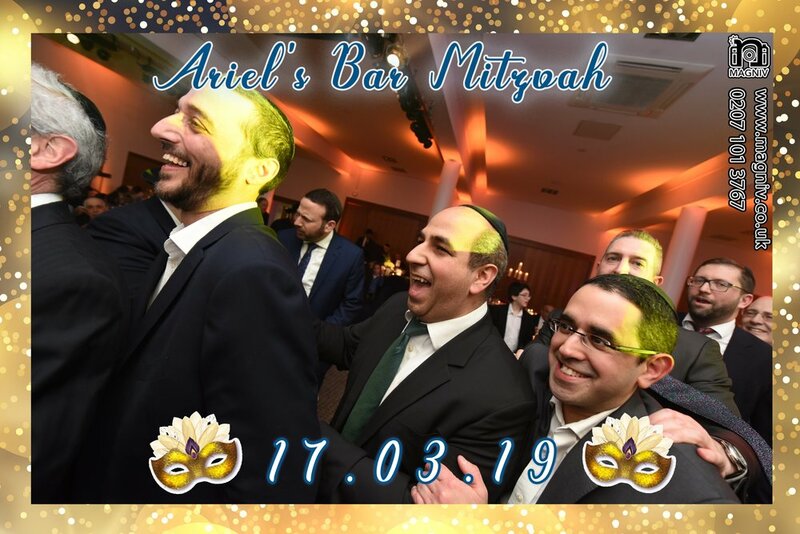 What a better way to kick off Purim week than with two busy events on the same day? Here’s the low-down on what we got up to this weekend and who we partied with. Back with a bang, the BJFS&E brought together 6,000 people of all ages from across the Jewish community for a great day of FUN! 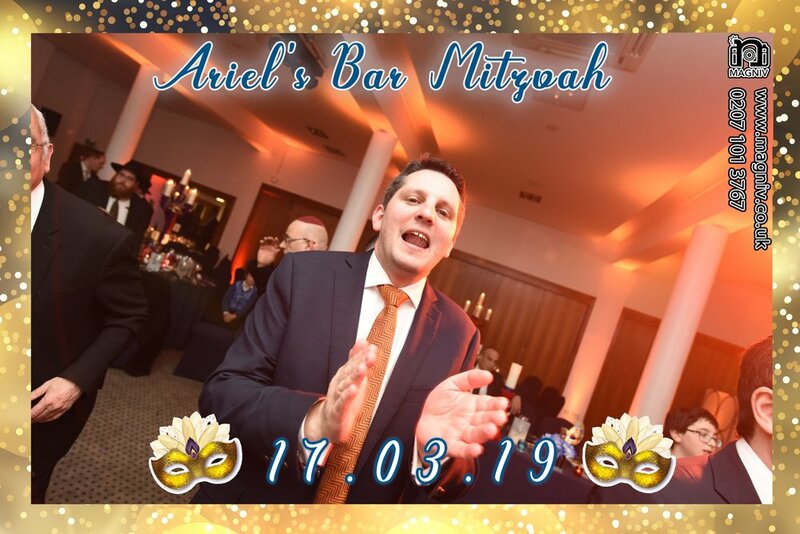 Hosted at Allianz Park, the home of Saracens Rugby Club in the heart of North West London, there were 6 sections, ranging from Simcha to Travel, along with stage featuring live performances, a welcome by Chief Rabbi Ephraim Mirvis and special guests Nick Ferrari & Rachel Riley. Emma and Robin LOVED posing for their photo-magnet! We were at stand C8 with the UJIA - an incredible charity that works to create connections between the UK and Israel. Their work is varied and includes enabling all the UK Jewish youth movements to send thousands of teenagers to Israel every year on tour. The UJIA chose MAGNIV’s exhibition stand package to help drive engagement with visitors - after posing for photos from our Affiliate Photographer Julian, guests would wait just a couple of minutes whilst technical assistants Dina and Ben printed off the magnets - plenty of time for Emma and Robin from UJIA to explain what they do and how people could get involved. The guys from over on the Jewish Care stand popped round for a quick photo-magnet! We also donated to the charity a 2-hour family or couple’s photoshoot with one of our photographers, for the UJIA Team to raffle off. Our photographers are full-time professionals shooting weddings and events around the country, working with MAGNIV on their spare weekends. This prize, valued at £250-350, was our pleasure to donate to such a worthy cause. If you’re interested in our Exhibition Stand packages, which can include not just photomagnets but also strategic marketing planning, GDPR-compliant data capture support, sales representatives and training for your team, send us an email and we’ll put together a bespoke quote. 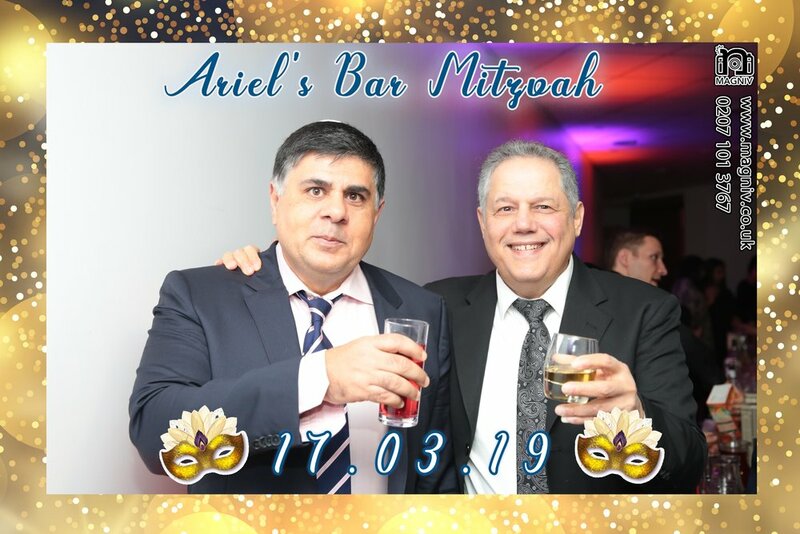 It was a pleasure to see Leivi Saltman, another of our superb professional photographers, at the show, photographing on behalf of the organisers the Jewish News. You can see his photos from the event on the Jewish News Facebook page. In addition, one of our trainee photographers Lucy-Anne Amdur was upstairs with her own stand. 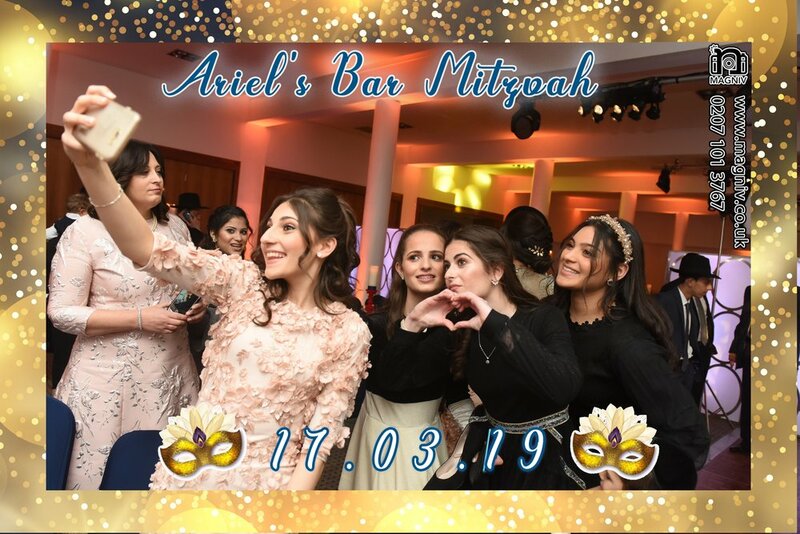 A Purim themed Bar Mitzvah, as you’ve never seen it before. This event was planned, designed and executed to perfection by Joelle, Daniella and the team at Events by Joelle. Production was by Simon Cowen with beautiful centrepieces by Table Dressers - matched by our Graphic Designer Dean for the magnet frame. Shloime Gertner’s beautiful vocals bring an uplifting spirit to every event. The room was filled with ruach by the 300 guests, all of whom were elevated by Shloime Gertner’s incredible voice, accompanied by our good friends Ruben Bamberger and band - together, they raised the roof! After Main Course, the Bar Mitzvah boys and his friends joined Shloime on the dance floor in one big circle for a Kumzitz. The culinary wizards at Reich’s catered the evening - if only we could capture how good the food tasted in a magnet - whilst Galaxy captured the night on video. The event was photographed by Blake Ezra and his team - a selection of their simply phenomenal photographs are already live on their facebook page; check it out and prepare to be amazed. On the MAGNIV Squad, we had Natalia Smith photographing the ladies; Leivi Saltman photographing the gents and Scott & Matty printing magnets. We once again SMASHED our record, printing 418 magnets in the first 3 hours!